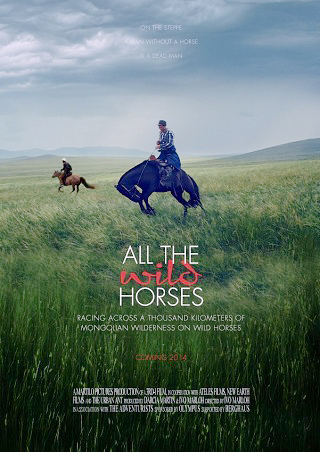 October 13th at 8:45 PM, and October 15th at 5:15 PM, the Bellingham Sister Cities Association is proud to present All The Wild Horses at the Pickford Film Center. Follow international riders from around the world as they compete in the Mongol Derby in Mongolia, the longest and toughest horse race on the planet. In this race across 700 miles of Mongolian steppe the riders are on their own, navigating from horse station to horse station where they change horses every 30 miles. They have to deal with dehydration, hypothermia, exhaustion, extreme weather, swollen rivers, attacking dogs and roaming wolves. The riders stay the nights out in the wild or with nomad families. To choose a wrong horse at a horse station could get them bucked off, losing their mount in the process, or suffer more serious injuries. Filmmaker Ivo Marloh rides the 1000-kilometre race twice to embed himself in the individual stories and document exactly what compels riders from all around the world to risk broken bones, life-threatening injuries, or their life savings for an experience that will change their lives forever. 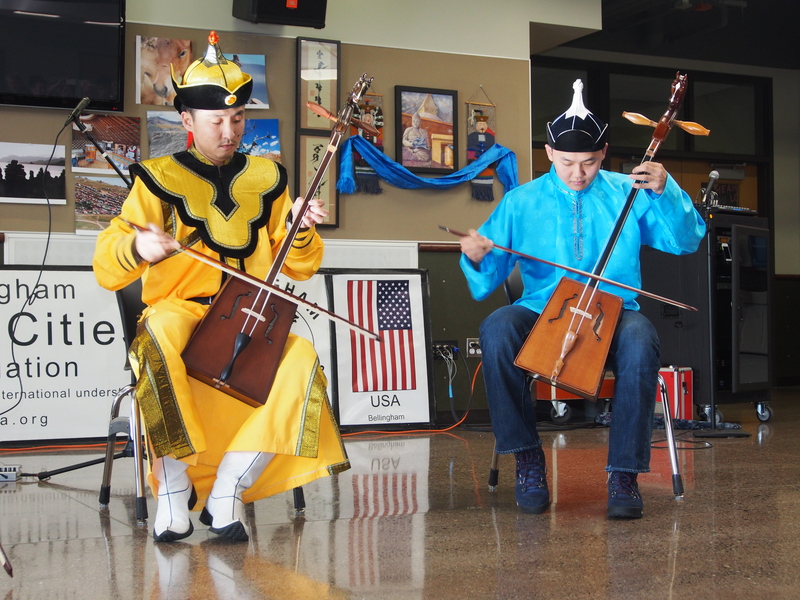 Tsetserleg City (Mongolia) Chair Bolor Smith and 2018 Bellingham Sister Cities Association President Ross Grier will be providing a brief introduction before the film. There will be some prizes to give away too, including a $25 membership to BSCA! 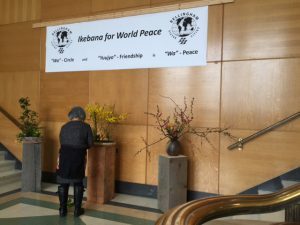 In 1958 the City of Bellingham and the City of Tateyama, Japan established one of the first Sister City relationships after President Eisenhower started what is now known as the Sister Cities International. 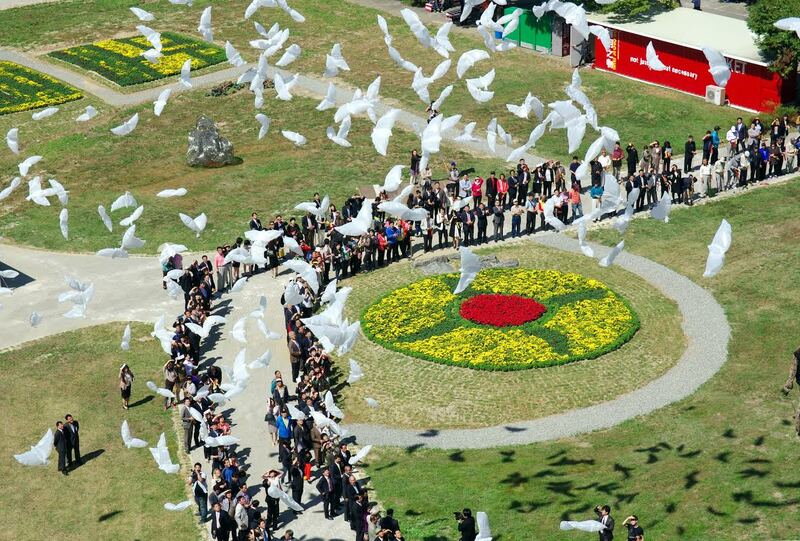 This year, 2018, marks the 60thanniversary of the relationship between Bellingham and Tateyama. This week, the Mayors of all 7 sister cities of Bellingham are participating in a special Sister Cities Mayoral Summit: “Global Dialogue for Community Solutions”. The purpose of the summit is to gather our Sister City Mayors around a single table to share success stories, discuss challenges, and through this dialogue, discover beneficial ideas and solutions. This summit will reach students, business owners and leaders, cultural organizations, elected officials, and citizens of each of our communities as well as draw worldwide attention to the importance of strong and beneficial Sister City relationships. On Tuesday, September 4 the Mayoral Summit begins at Western Washington University where the Mayors will work to expand friendships, foster peace and understanding, and look through dialogue at ways to collaborate on common issues. The Mayors will then be received by the Lummi Nation on Tuesday evening in a formal reception. Wednesday, September 5, Saturna Capital is sponsoring a School and Business Day with keynote speaches by the Presidents of our higher education colleges, and visits to key local industries. Thursday, September 6thwill introduce the Mayors to Whatcom County Mayors with a tour and reception at Peace Arch Park in Blaine, followed by the dedication of a Summit Monument at the Bellingham Library and a final Gala Farewell event at the Holiday Inn and Suites at Bellingham International Airport. 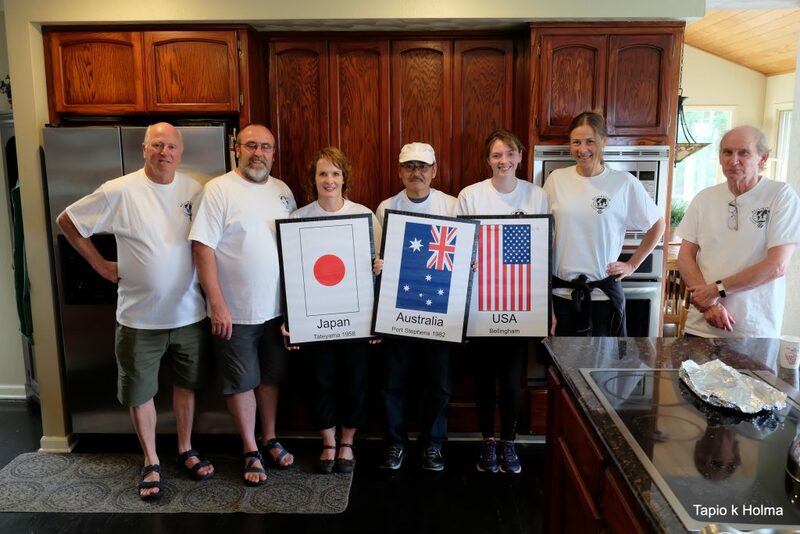 Nigel Dique, Chairman of the Port Stephens Sister Cities Committee reports the runners from Bellingham and Tateyama are in Port Stephens safely ensconced with their home hosts, all very excited and in good health, but a wee bit tired. 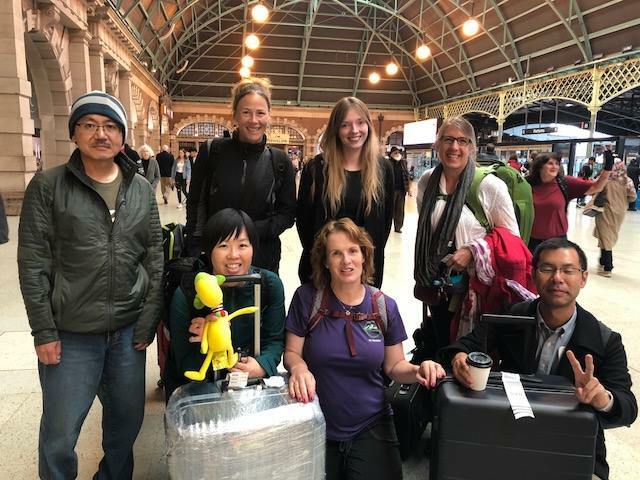 Nigel met our runners at the airport in Sydney and after accompanying them to Newcastle by train from Sydney he says “We gave them a quick ‘Cook’s tour’ of Newcastle.” and continues, “Today there will be a mayoral reception and other activities including a visit to a koala park”. The Bellingham Sister Cities Association has expanded our Marathon Exchange Program to the shores of Port Stephens, Australia. 5 runners are arriving there in advance of the July 22 running of the Hunter Valley Marathon. 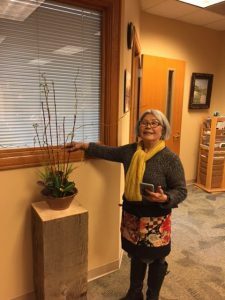 Program Director Holly Graham, an alum of the Wakashio Marathon in Tateyama, Japan, is excited the program is expanding and more Bellingham area runners are becoming Citizen Diplomats to make friends around the world. 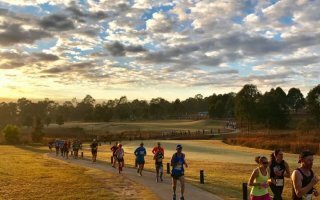 Originally a Tateyama-Bellingham exchange, Port Stephens is now in the mix and runners are cris-crossing our sister cities at a dizzying rate. Runners from Port Stephens (4) and Tateyama (2) will be arriving in Bellingham for the Bellingham Bay Marathon on the last Sunday of September before Bellinghamsters head to Tateyama again in January 2019. The Aussies will be in Tateyama as well. THIS JUST IN! 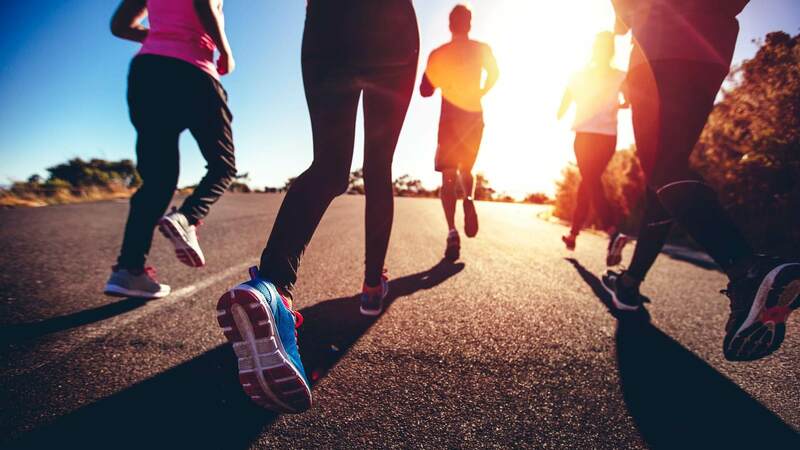 Five members of the Bellingham Sister Cities Association (BSCA) will be traveling to Port Stephans, Australia to participate in the Winery Running Festival on July 22nd, 2018. Their send off for the Australia trip will be on Thursday, July 12th at 5:45 PM, at BBay Running – 1431 North State Street in Bellingham. 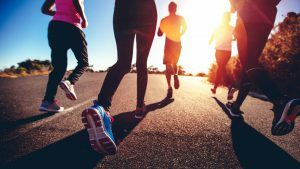 If you are interested in running but don’t want to fly all the way to Australia, The Bellingham Bay Marathon is scheduled for Sunday, September 30, 2018. This will also be the inaugural invitation exchange of both Tateyama, Japan and Port Stephens, Australia. We are celebrating 60 years of friendship with Tateyama this year. To mark this occasion we were invited to visit our friends in Tateyama this August 6th to 11th. We will be there for the big summer fireworks display. 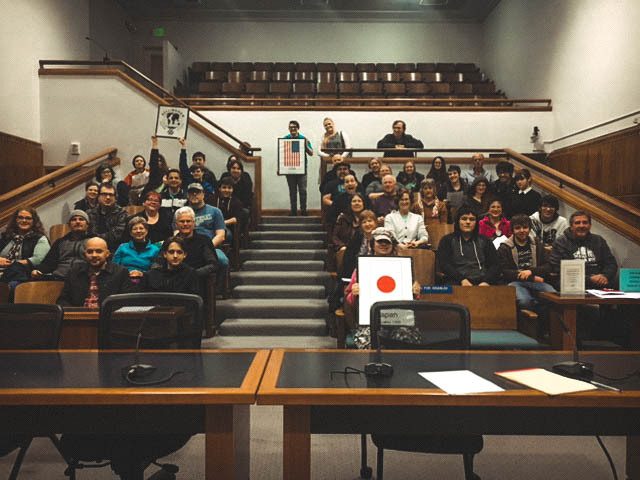 Tateyama Mayor, Kenichi Kanamaru, wanted to recognize our youth, so we obliged and will travel with 14 local high school Japanese language students and their Bellingham High School teacher Mark Write. 11 Bellingham residents will travel in the group. 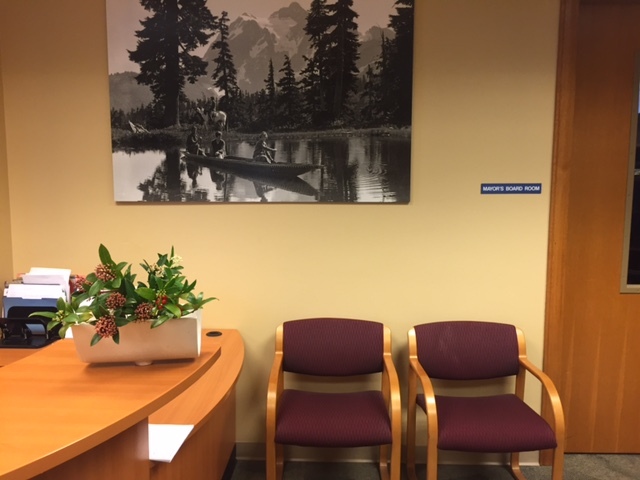 We held our inaugural meeting in the Bellingham City Hall Council Chambers with the company of our students’ parents. All Smiles in City Hall. 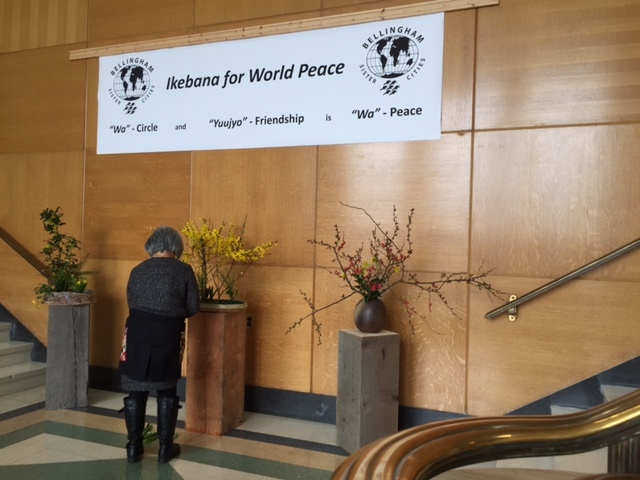 Bellingham City Hall is now adorned with the spring installation of “Ikebana for World Peace”. 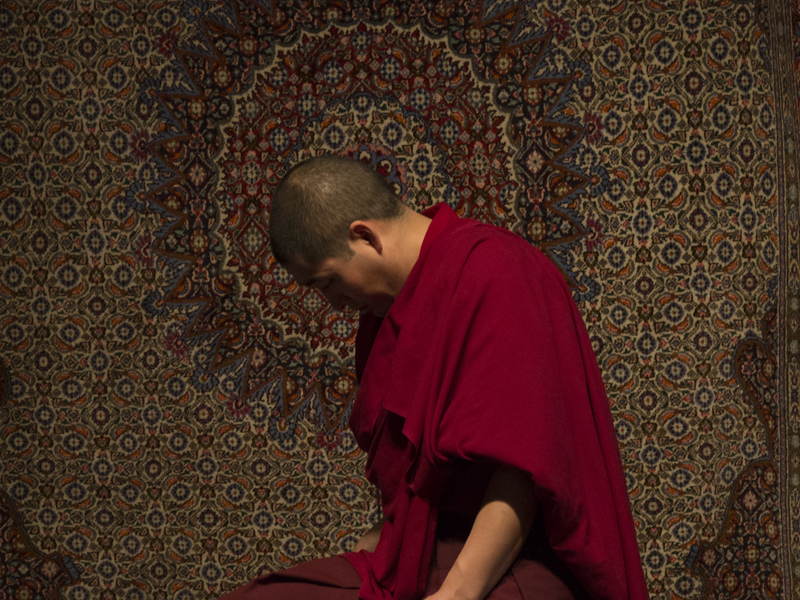 You can go visit this exhibit at Bellingham City Hall, 210 Lottie Street, Bellingham WA 98225. While your there enjoy the beauty and the intoxicating scent of the hyacinth this week. 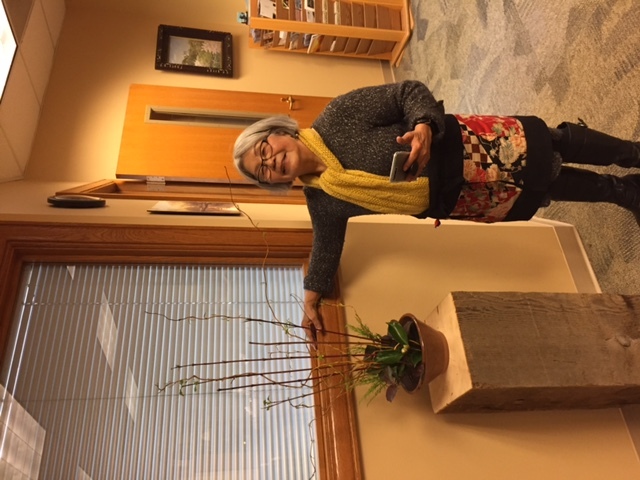 Teacher Noriko Sharik also installed pieces in the Mayor’s Office. 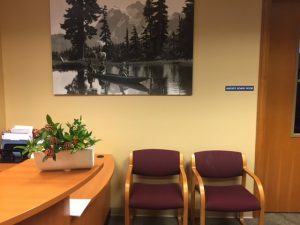 The white vase on the counter is Mayor Kelli Linville’s personal possession. 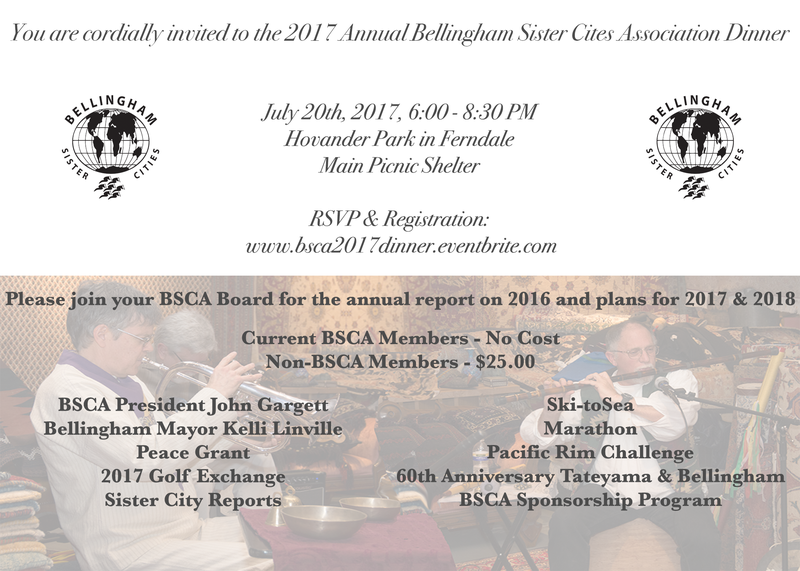 Please join your other members for our 2017 Annual Dinner on July 20th, 2017 from 6:00 PM to 8:30 PM at Hovander Park in Ferndale (in the Main Picnic Shelter). This years event will be both a report on our accomplishments in 2016, what we have done (and are doing) for 2017, and the exciting events planned for 2018. We are holding our annual dinner not just to report to the membership, but also in lieu of our 777 Annual Fund Raising dinner – we are really rolling both into the same evening. 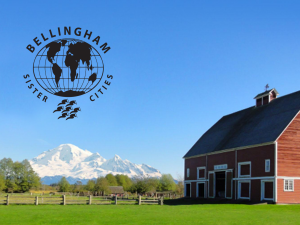 We will not have a formal auction, and there is no cost (for members) for the event, so we are asking all members to help your Sister Cities by contributing directly to Bellingham Sister Cities Association through an on-line donation when you register for the annual dinner. Because this year we are having the event catered, we ask that you register for the annual dinner here. And don’t forget, when you do register, that it is free for paid members of Bellingham Sister Cities, and $25.00 for non-members. And, don’t forget that we are asking for a voluntary donation to Sister Cities so we can help continue building world peace! We truly look forward to seeing everyone on July 20th beginning at 6:00 PM! Bellingham Sister Cities Association Board Member Lauren McClanahan recently produced a video about the history and goals of the Association and the City of Bellingham. Featuring Bellingham Mayor Kelli Linville, this video explores the experiences of some of its members and what the Bellingham Sister Cities Association hopes to achieve. Цагаан Сар/Tsagaan Sar Mongolian New Year Celebration! Please join us for an afternoon of music, stories, food, good friends, and shared cultures! Tsagaan Sar literally translates to “White Moon” in English, and is celebration of the first day of the Lunar calendar year. It occurs one month after the first new moon of the winter solstice. Tsagaan Sar is marked by visiting family, relatives, and friends (in this order), eating meat dumplings, called “buuz” Бууз (pronounced like the English word “boats”) among other traditional foods, and exchanging gifts/money. The purpose of Tsagaan Sar is to greet the new year and send away the old year, to solidify the relationships between family and friends in the upcoming year and to start the year with a clean slate all around. 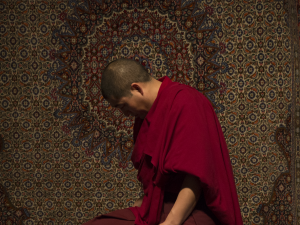 In preparation for Tsagaan Sar many people repay debts and resolve disagreements, and essentially clean themselves both figuratively and literally in preparation for the upcoming new year so that the new year will start off ‘pure’ and white. 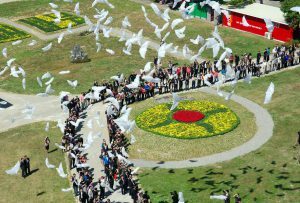 The celebration starts on the eve of Tsagaan Sar, which is called Bituun. It is the last day of the year and is spent sharing food and eating until everyone is full with family so that during the upcoming year, no one will go hungry. On the first day of Tsagaan Sar you start with greeting your immediate family, starting with the very oldest person first. People are greeted in the traditional manner, especially when greeting the oldest member of the family. We use the words “Amar baina uu?” to greet someone older than us, and the words “Amar sain uu?” to greet someone younger than us. Both phrases mean “Are you living peacefully?” in English. Usually the elder person has a hat on and is sitting, while the younger person does not have anything on their heads and is standing. To greet each other they both extend their hands and the younger persons’ arms hold up the older person’s hands. After this there are several other rituals, people ask each other about their herds, about the winter season, and how everyone’s Tsagaan Sar is going. This is also the time to learn from the experience of the elders and to teach the younger generation Mongolian customs. 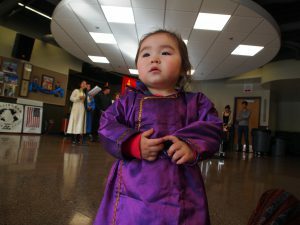 Although, many Mongolians have discarded traditional clothing in favor of a more Western style of dress in everyday life in the city and towns, during Tsagaan Sar people wear their most ornate traditional clothing. 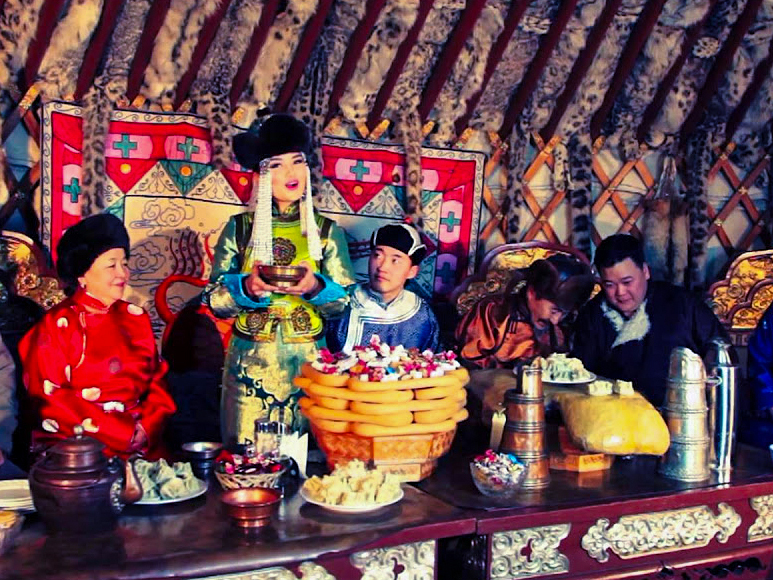 In addition to respecting and honoring your elders and solidifying relationships, Tsagaan Sar is the time to be eating. Before going straight to the buuz, people first ‘take a bite’ of tsagaalag, which means white-ing, it roughtly translates to vegetarian. Before eating anything people take a bite or spoonful of rice or some vegetarian option, such as any dairy product (aaruul, byaslag, tos). Then on the table there is usually lamb, a tall build of boov, buuz, salad, various meats, candy, and other foods and of course an always ready hot Mongolian tea. 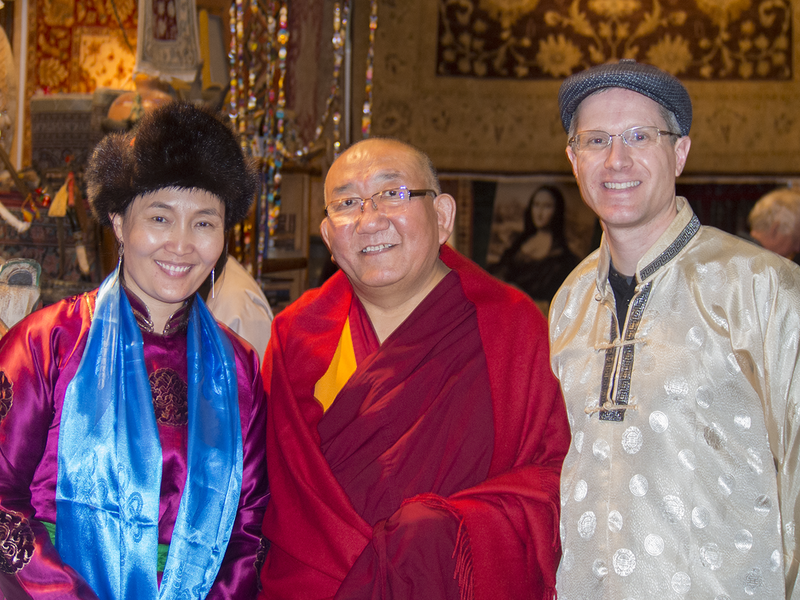 We are looking forward to celebrating Tsagaan Sar with you!